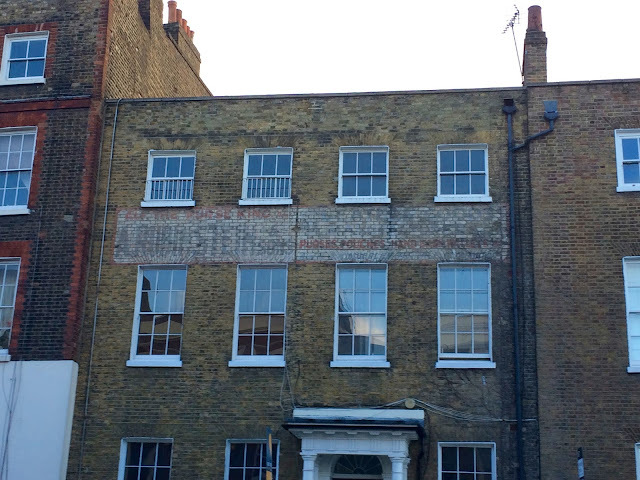 I recently accompanied a student group at work on a 'Ghost Signs' walking tour. Having initially thought this was a tour of signs of paranormal activity in London, I was quite relieved when my colleague explained that ghost signs are actually the remnants of what's left from painted advertising on the side of buildings. Phew!! Our tour took place in Stoke Newington, an area of London I'd never visited (why would I?). Our tour guide Sam, met us at the station, and after a little introduction and the health & safety talk - remember to look where you're going not just up at the sides of buildings, keep your arms and legs inside the car at all times... We all failed our first test: to find the sign visible from the spot where we stood. Pointing behind the group (not really fair!) Sam showed what we had failed to see. As the tour got going, we all started getting better and better at spotting the signs. We stopped by each one, and Sam got us to try and decipher what was written. 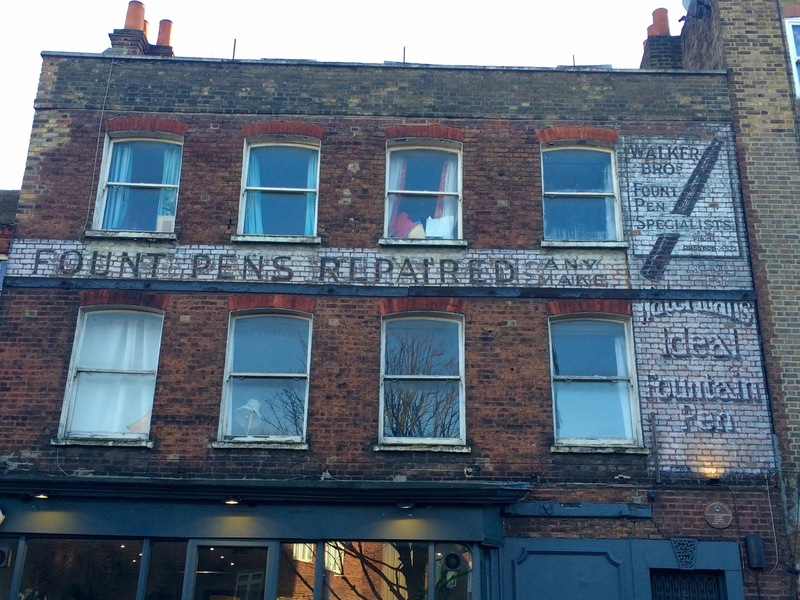 This was difficult, not just because they had been faded by time and sunlight, but because most of the walls had been used more than once and so there was often two or more different products being advertised. At one point as we were all staring up at a sign publicising the various uses of a horse and cart, a local man came over to listen to the tour, and was amazed, having live on the street for 15 years that he'd never noticed the sign before! Crazy! I really enjoyed this tour, Sam was a fantastic guide; knowledgeable, easy to follow and a strong public speaker. I was able to ask him, at the end, about a sign I used to see every time I walked to netball when I lived in Russell Square. Amazingly, he knew exactly the sign I meant and emailed me after with some more information about it. I'd whole-heartedly recommend this tour, and I have added his other tours to my list of things I'd like to do in London! Info on the tours can be found here. I didn't pay for this tour, because I went with work, but I definitely would spend my own money on this! I only took a few photos, and those only with my phone as I forgot to take my camera along!